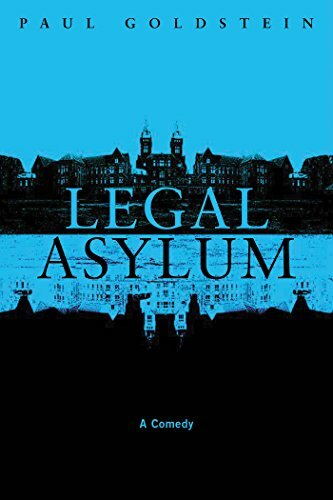 Paul Goldstein is the author of the new novel Legal Asylum. 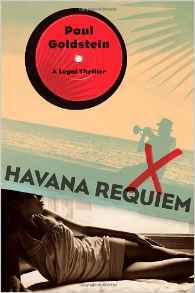 His other books include Secret Justice and Havana Requiem. He is the Lillick Professor of Law at Stanford Law School. Q: How did you come up with the idea for Legal Asylum, and for your main character, Elspeth? A: The idea to write a novel poking fun at American law schools has been percolating for 50 years, from when I took my first law teaching job in 1967. I think that if you look at any institution long and hard enough, the institution's genuinely eccentric--even absurd--features will inevitably separate from the background and beg to be written about, and law schools are no exception. Far from it! There is a rich crop of grandiose and other daft behavior just waiting to be harvested. 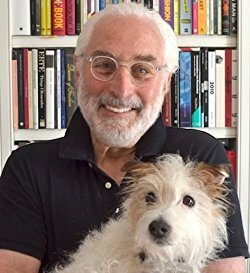 To take only one example, the contemporary spectacle of law school deans' grim-faced crusade to secure for their institutions a higher and still higher slot in the U.S. News law school rankings--or at least not to slip from their present perch--made it almost impossible not to write Legal Asylum. The fact that I had already published four novels gave me the confidence that I could do the job with a comic novel as well, but I had no inkling how much fun it would be to write this book. 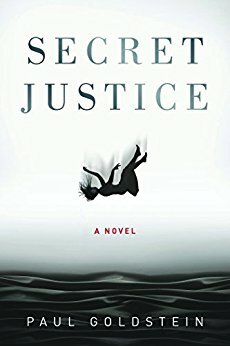 At the start of a novel, there is always the question how to set the story in motion, and I chose for Legal Asylum's trigger the regularly-scheduled visit of an American Bar Association accreditation committee to my fictitious law school. This set up the story's animating puzzle: Can a law school make it into the U.S. News Top Five and lose its accreditation, all in the same year? Of course, a story needs not just a trigger, but a central character sufficiently strong-willed to keep the plot in motion, and I thought it would be fascinating to see what would happen if I flipped the usual stereotype of a testosterone-charged male law school dean, and instead made my law school's dean the brilliant, beautiful and sexually voracious Elspeth Flowers. For all of the jaw-dropping things Elspeth does to move her institution into the Top Five, I--and others who have read the book--came away with warm feelings toward her. Q: Did you base the law school in your book on any particular law school? A: No, the law school in the story is not based on any particular institution, and although it's depicted as a state law school in New England, that's only because I had to locate the school somewhere. It could as well have been a private law school in the Northwest. Nor, to anticipate a question, are any of the characters drawn from law teachers, or other law school denizens, living or dead, although, to be sure, there are certain recognizable traits among the characters. The one point on which I found that I could not possibly improve on reality was in the courses offered at my fictitious school. I took these courses--"The Good Life and Living Well" is one--verbatim from the regular curriculum directories of a handful of brand name law schools. A: I like book titles that are at once evocative and descriptive, and in the toss-up between evocation and description, I favor the former. Anthony Doerr's All the Light We Cannot See is in my estimation the perfect title for that fine book. 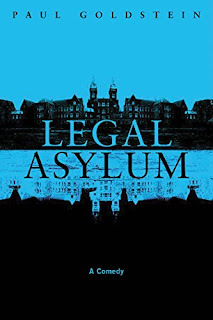 There is, to be sure, an asylum for the criminally insane that figures in the plot of Legal Asylum, and I suppose the title makes a glancing reference to it. But the title also aims to evoke the sheltered craziness that passes for legal education at State. A: What I knew at the start of writing this story--in addition to the details that I'd been accumulating over a half-century--was who the main characters would be; what their wants and needs were; and where, roughly, they--and their wants and needs--would be at the end of the story. But what the characters experience as they bounce off each other and react to the obstacles that the story throws in their way was all conceived in the moment, and is why, I expect, I had so much fun with the writing. As a child, I never much enjoyed those paint-by-number drawings, where not only shapes but colors are all predetermined, and my preferences are the same in writing. At the same time, I love novels--Peter Cameron's wonderful The City of Your Final Destination is one--in which the characters are at the end of the story in a very different place from where they started, and I tried to do the same in Legal Asylum. A: I'm two or three polishes away from finishing the fourth novel in a series that has a difficult but indefatigable trial lawyer, Michael Seeley, as its central character. The earlier novels in the series refer to his background, growing up in Buffalo, New York, but this is the first that is set entirely in that fascinating, multi-layered city, and I like to think that the depiction of the city has as much flesh and blood to it as do the characters. And I've started collecting notes for a comic novel about a large Manhattan law firm. I had such a good time with Legal Asylum that I thought I'd see if this other legal world, with which I'm also long familiar, has as much comic grist as does the world of law schools.